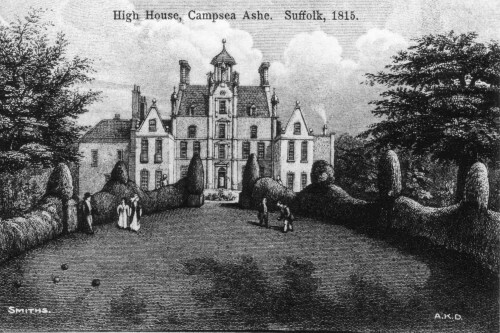 The High House, now demolished, but situated in what is now Ashe Park, was one of the main buildings in the village for many years. The Sheppard family owned it for around 300 years, and the Lowthers moved in for a further 50 - 60 years until the death of Hon James Lowther, former Speaker of The House, in 1949. The house was demolished in 1953.